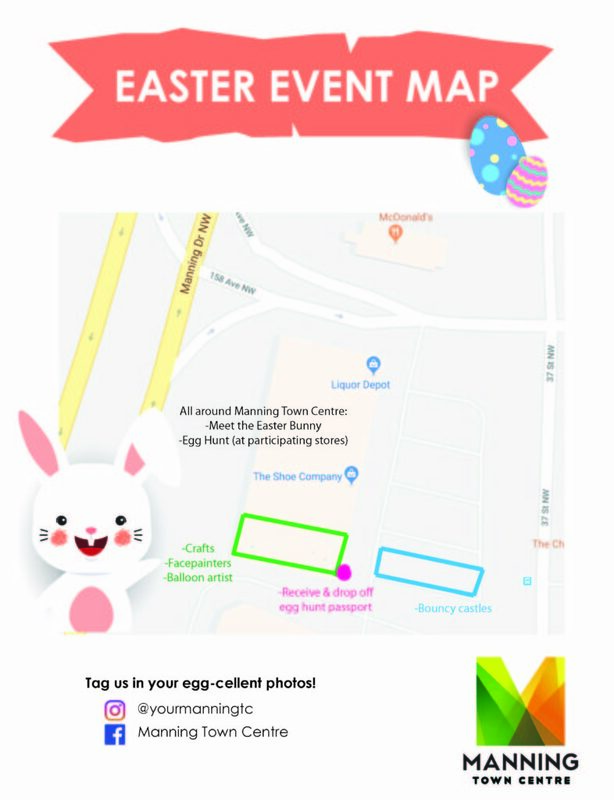 Manning Town Centre is hopping into Easter with a celebration for the whole family! 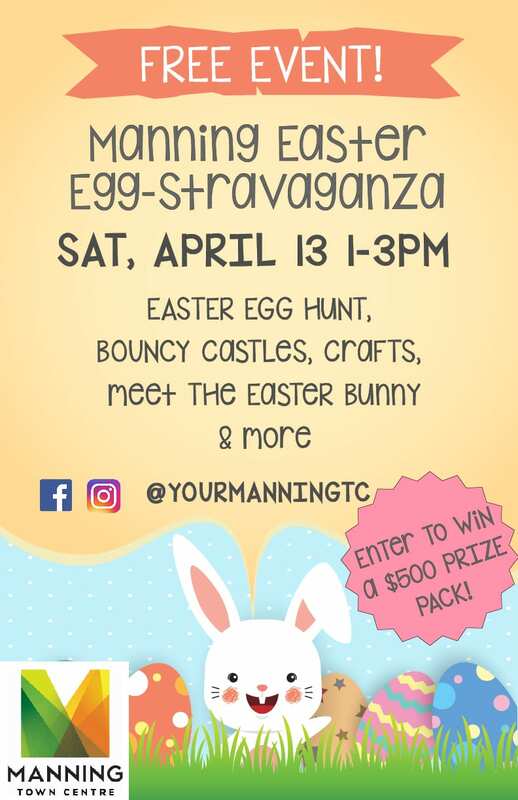 Join us Saturday, April 13th from 1pm-3pm for our Manning Easter Egg-Stravaganza Party! Activities include bouncy castles, face painting and more! Plus, go on the Easter Egg Hunt and enter for a chance to win a grand prize valued at $500! Don’t forget to RSVP on Facebook here and share this with your friends! We’ll see you there!